The mostly neutral palette of Theory's Spring '19 collection makes the pieces so easy to mix and match - wear these cream shorts as a tonal outfit with the label's beige shirt or style them with a pop of neon. 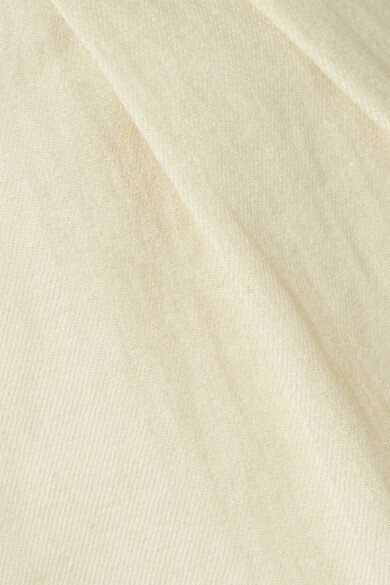 Woven with linen, they're pleated along the front and fall to an elegant mid-thigh length. Shown here with: Theory Shirt, Joseph Sweater, Little Liffner Tote, The Row Sandals, 1064 Studio Necklaces.